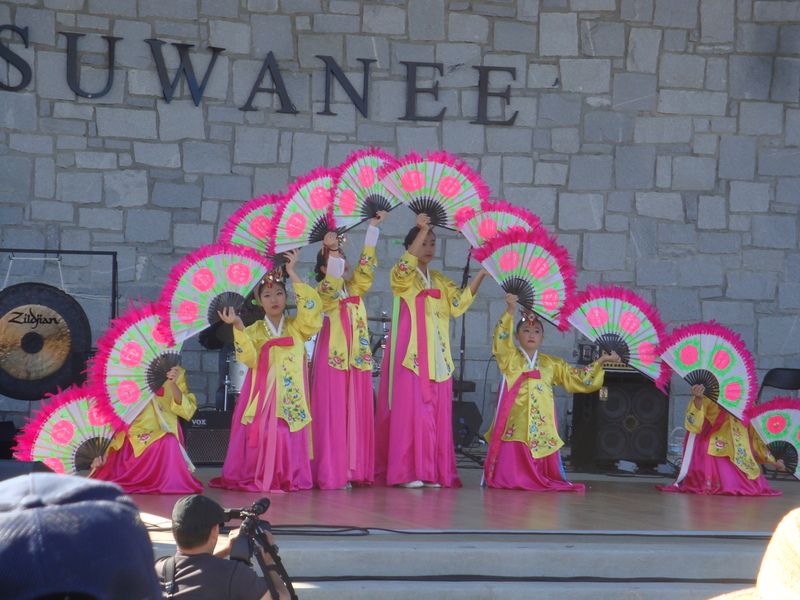 KoreaFest 2011 | What's Up Atlanta? 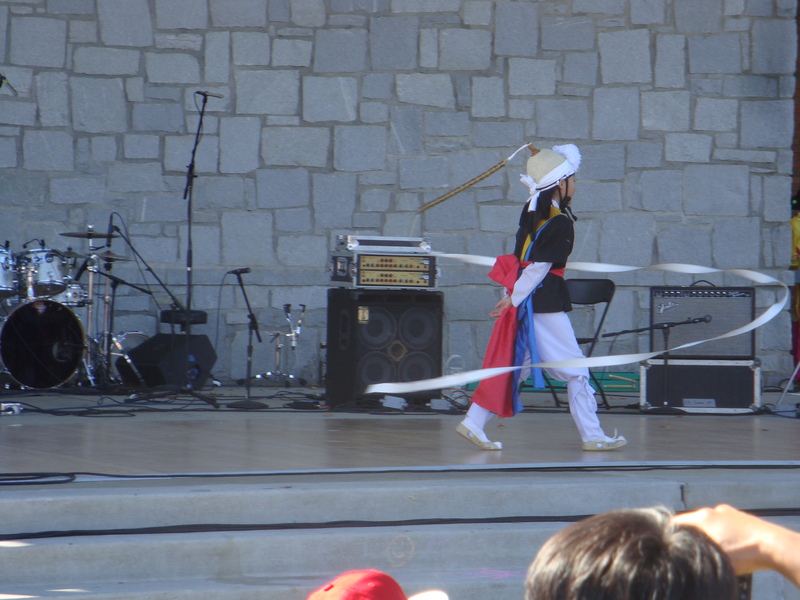 KoreaFest just recently passed (October 15-16) and I was lucky enough to be in attendance for it! 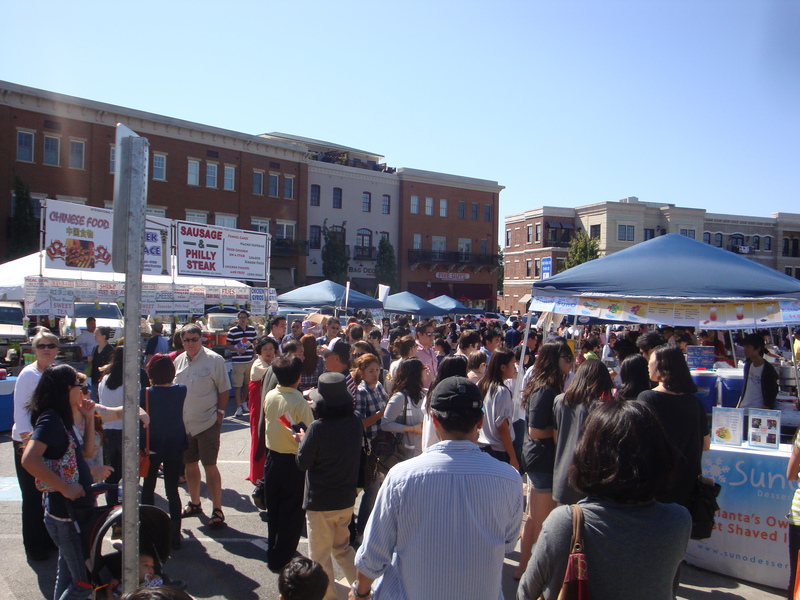 This year marked the 3rd Annual KoreaFest. 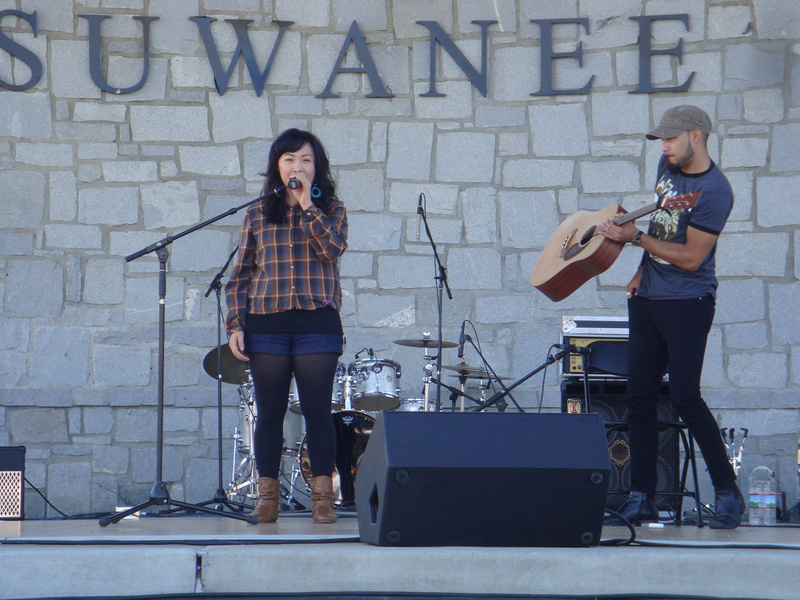 It was held at the Suwanee Town Center park. 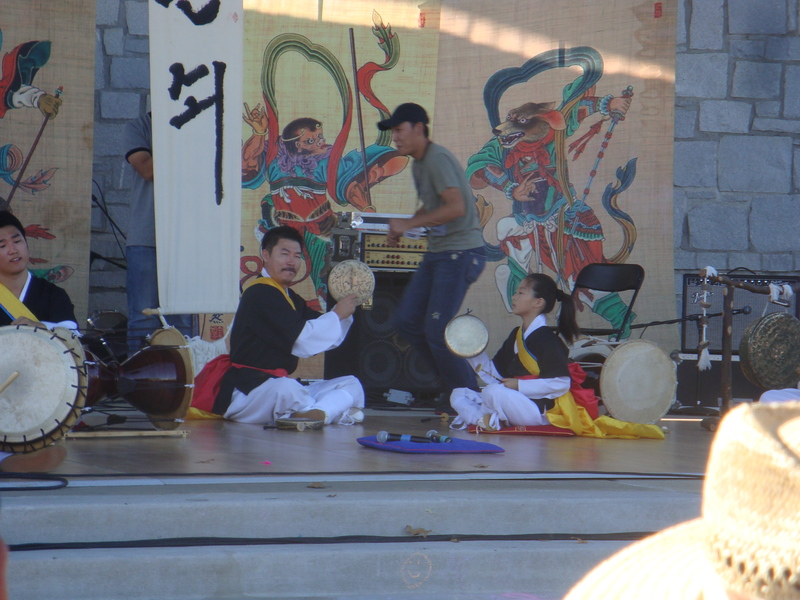 The two day event celebrated Korean culture through delicious food, history, musical performances, local korean businesses, and other cultural displays. 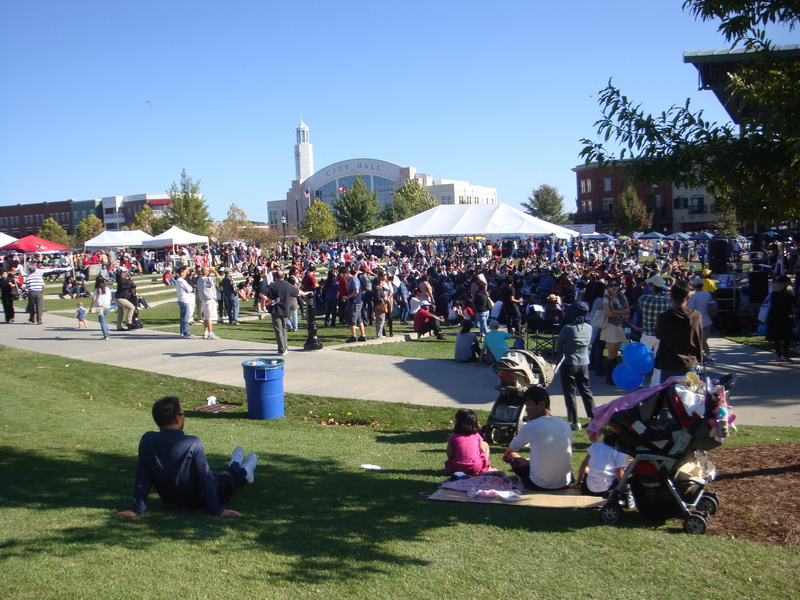 The weather was perfect and the venue was extremely spacious! 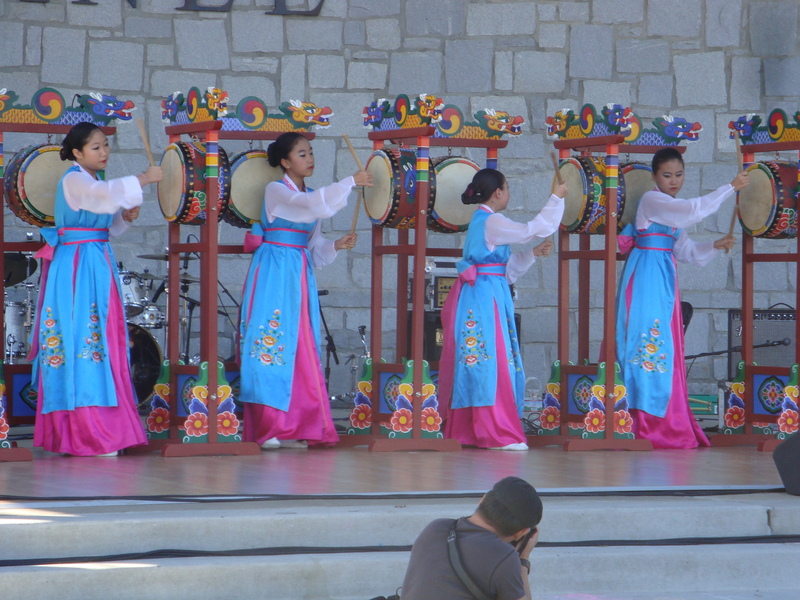 Thousands of people occupied the park to see what KoreaFest had to offer…and it didn’t disappoint! 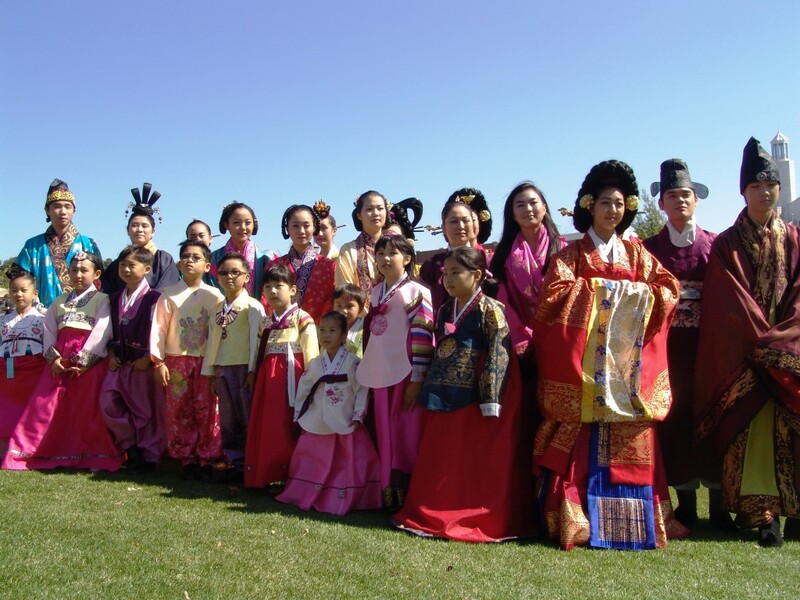 Upon arriving at KoreaFest I had the familiar feeling I had at JapanFest; The “Are there really this many Koreans in Georiga? 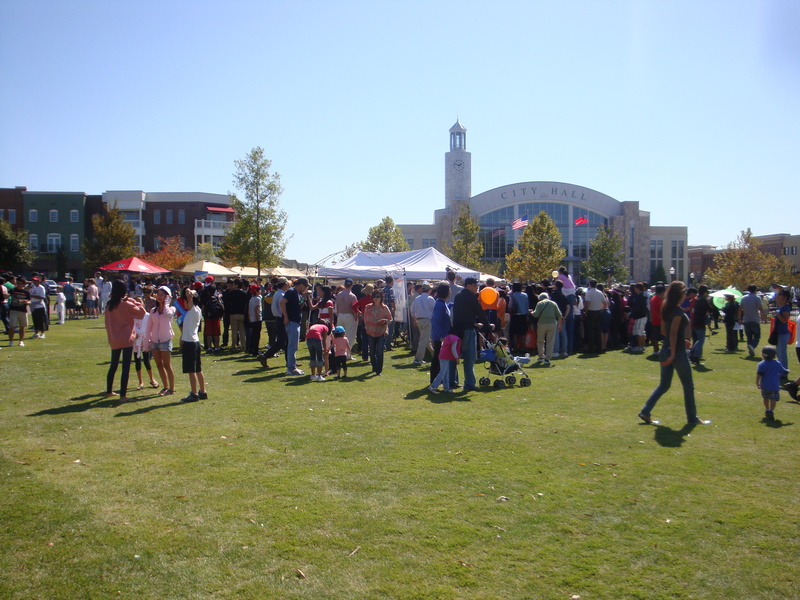 !” The park was filled with tons of vendors, panels, and many local businesses. Jessica and I walked around to see all the vendors all over the park. 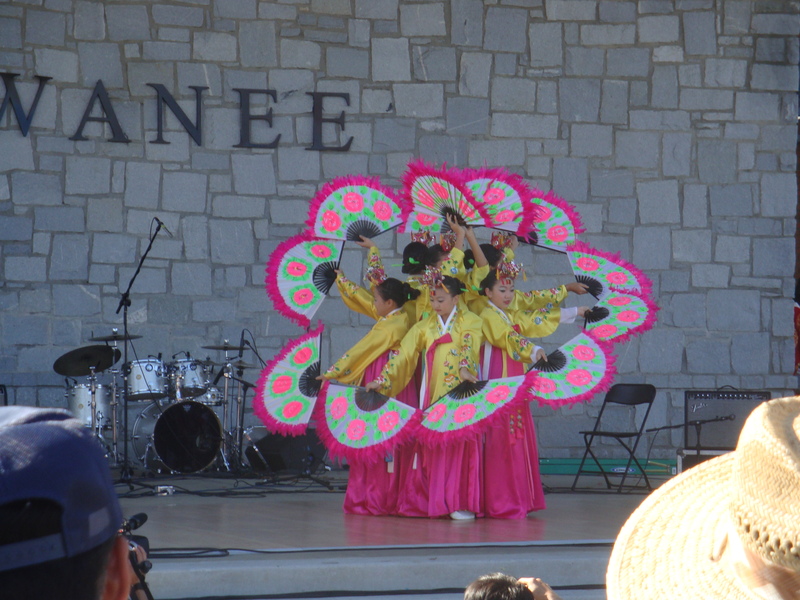 We saw a huge variety of things from traditional Korean kites, rice cookers, Korean garb, and the best part KOREAN FOOD!! I made my way through the food vendors area and was delighted to see that I had a plethora of options to choose from. 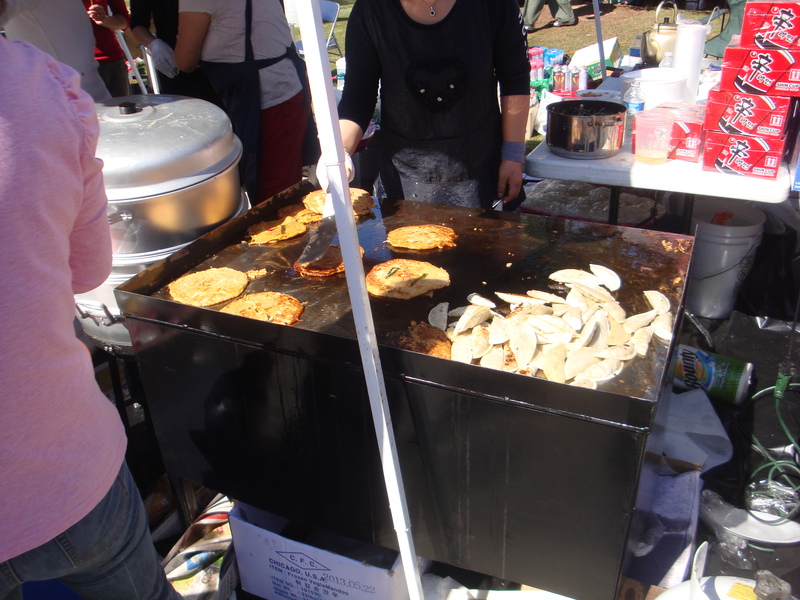 The aroma of sizzling barbecued beef in the air smelled a lot like bulgogi; I then followed my smell and darted through the crowd until I found this bulgogi stand. My stomach was ready (unfortunately they ran out of rice when I ordered!!!). Another vendor caught my eye shortly after grabbing my food. They were making some strange pancakes! I believe these are called “kimchijeon.” It smelled great and I am a sucker for food being cooked fresh infront of me so I had to have it! 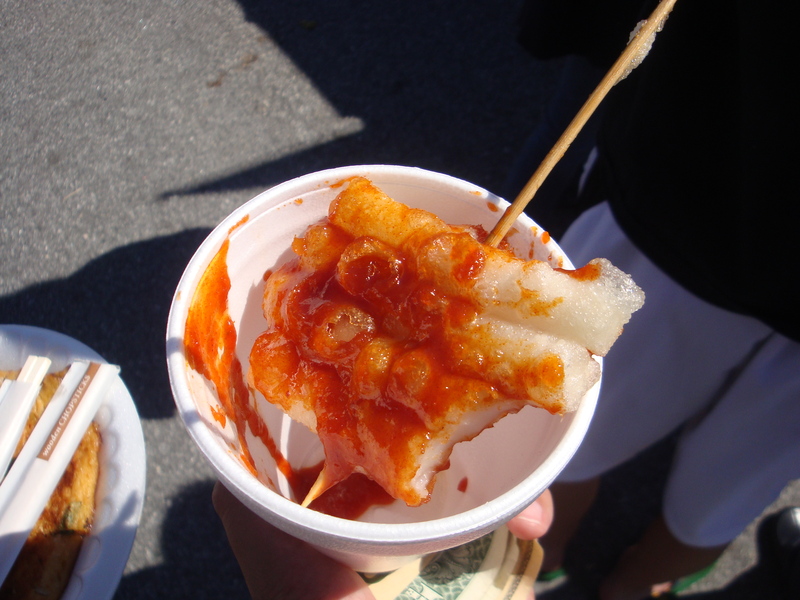 We also decided to grab these little fried rice snack served on a stick mixed with some red sauce; I believe it is called ddeokboggi. After getting filling our stomaches and exploring what all the vendors had to offer I focused my attention on the event that I was looking forward to the most! Live Performances! All the kids wearing the tradition clothing were so adorable! 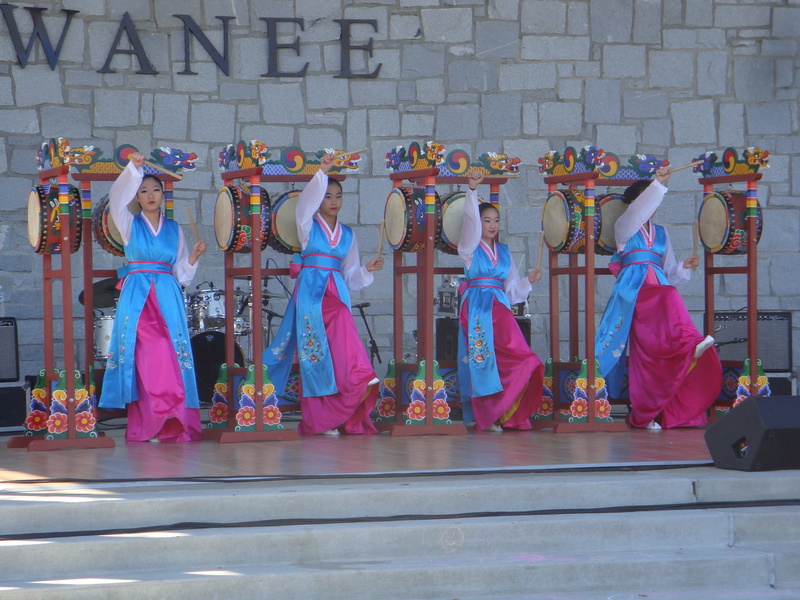 The first half of the live performances came from Kollaboration Atlanta. 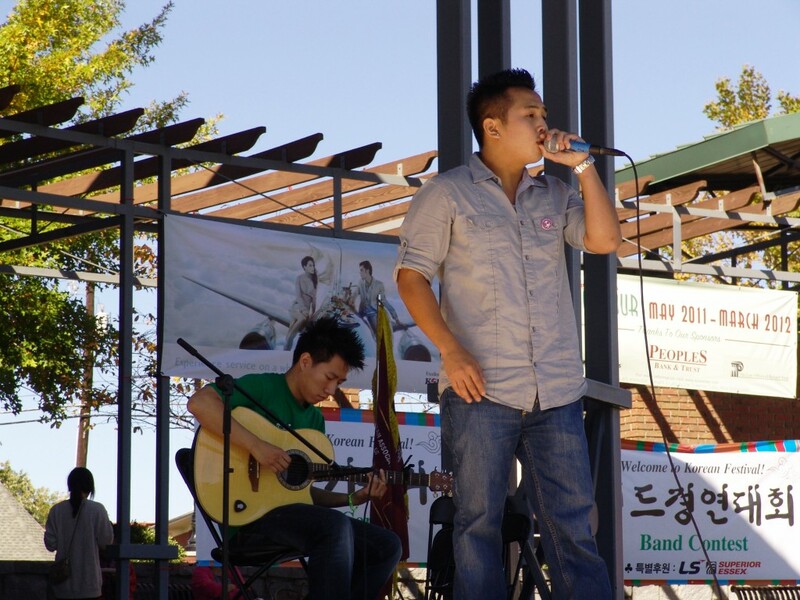 Kollaboration is an Asian-American non-profit organization aimed at showcasing a variety of talent (Dancers, Singers, Comedians, Magicians) through shows all across the United States. I was hoping to see the all girl dance crew PersuAsian but I found out they would only be performing on Sunday (and I only attended Saturday)! I still was pleasantly surprised by the performances from Johnny Le, Sam Cho, Joy Tolentino, and Oscar Mendez. Johnny Le & Sam Cho. These two put on an amazing acoustic set together with original songs. Joy Tolentino & Oscar Mendez preparing to jam. 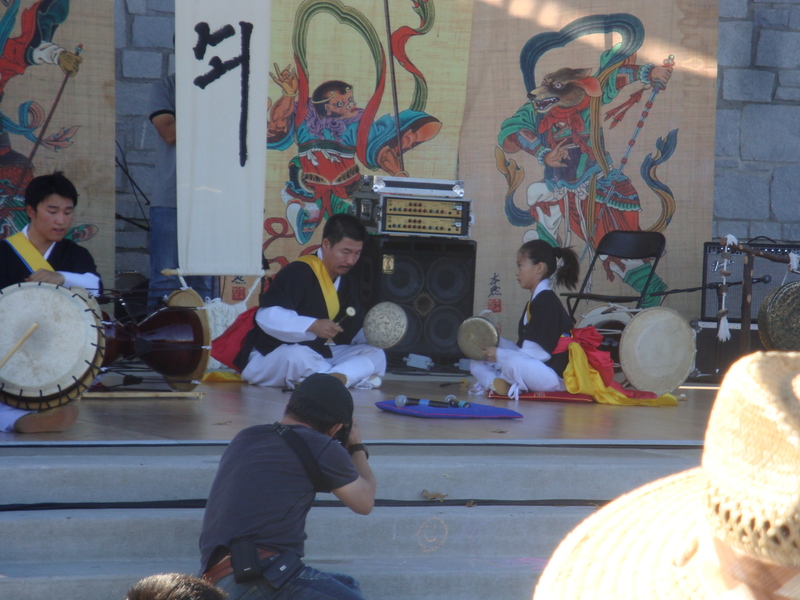 After the awesome Kollaboration performances KoreaFest changes gears and switches to traditional performances. I didn’t know what to expect since I don’t have much knowledge on Korean culture at all. But as after each performance I grew with more excitement wondering what awesome performance was next in store. For the sake of time (I’m trying to write in about 4 blogs this week since I need to catch up!) I will just post pictures and video from here on out Do watch the videos though since the performances were absolutely amazing! Second: Gwanmo? (Spinning faric hat of coolness!) performance. MUST WATCH!! 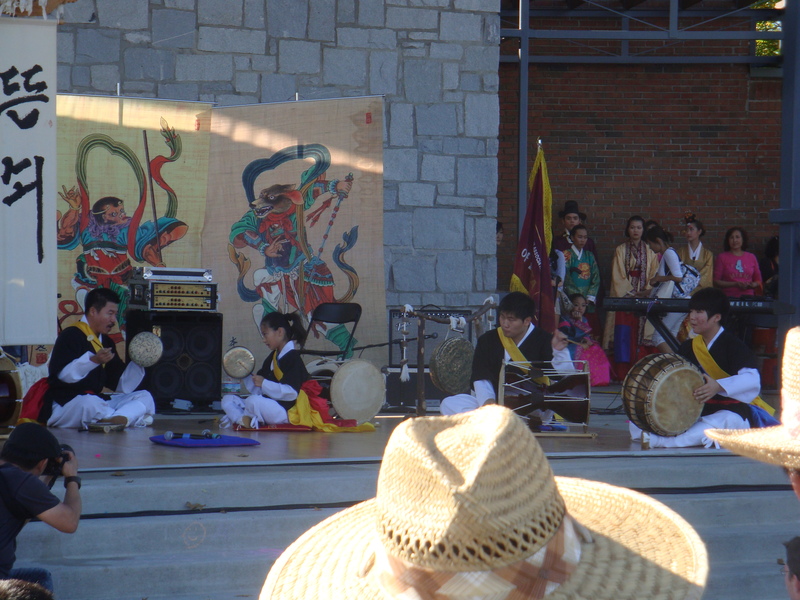 Lastly: Drum group performance ! I ended up leaving after the performances (missing the traditional clothing program!) since it was getting late. 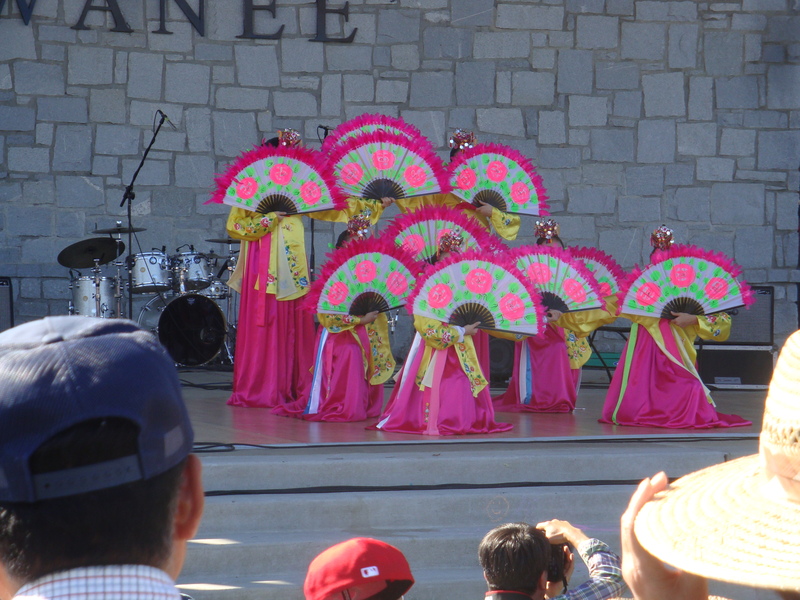 I immensely enjoyed my experience at KoreaFest and wish it wasn’t so far so I could have attended day 2! I’d recommend anyone who has the slightest interest of Asian culture to attend this event. 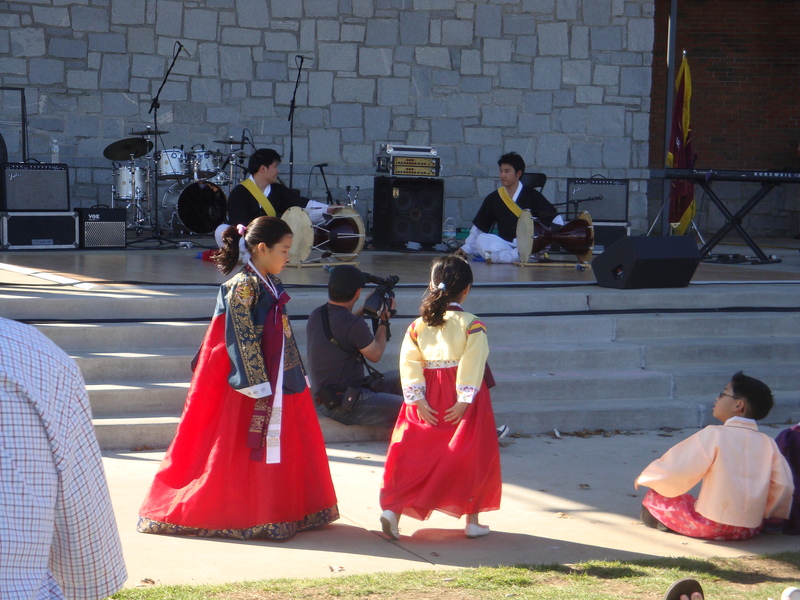 The panels, programs, and people are all so fun it’s impossible to not enjoy yourself out in KoreaFest! Well it seems like you had a lot of fun being there. It certainly looks that way. It would be nice if Koreafest had a festival in Duluth at their convention center only because I don’t drive and the buses passes by there . 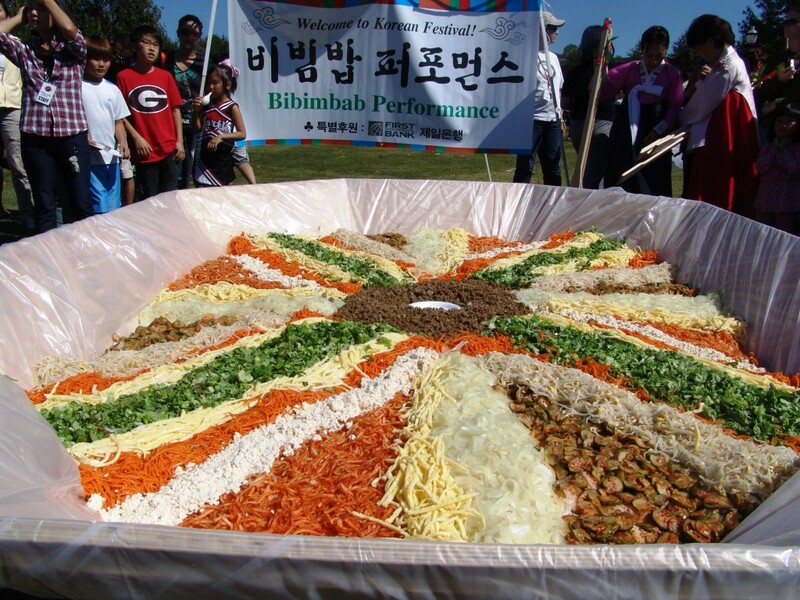 I would like to attend it and I’m trying to look for the next date for Koreafest.